Robert “Bob” Lee Hicks, 88, Gillett, died Friday, January 25, 2019 of natural causes at Atrium Post Acute Care of Oconto Falls. He was born February 7, 1930 in Oconto Falls to the late William and Muriel (Coppman) Hicks. On April 15, 1951 he married his high school sweetheart, Mae Joann Olson in Crown Point, Indiana. Robert enlisted and was called into active duty in the Army of the United States on November 10, 1952. He served in the Korean War, in field artillery as an E5 Sergeant, until 1954 when he was Honorably Discharged and then was on active reserves until 1964. He graduated from Lincoln Chiropractic College in Indianapolis, Indiana with a degree of Doctor of Chiropractic (D.C.). Working in that capacity in Spartanburg, South Carolina. He later moved back to his home town in Gillett and started Oconto Company Inc., Abstract and Title business with his wife and later his son, John, until retirement. Bob was very active in the Boy Scouts as a leader. He was one of the original start up members of the Gillett Ambulance and also served on the City of Gillett Fire Department and was a member of the Gillett Civic Club for many years. He served one term as Coroner for Oconto County as well as the chairperson of the Republican Party of Oconto County. 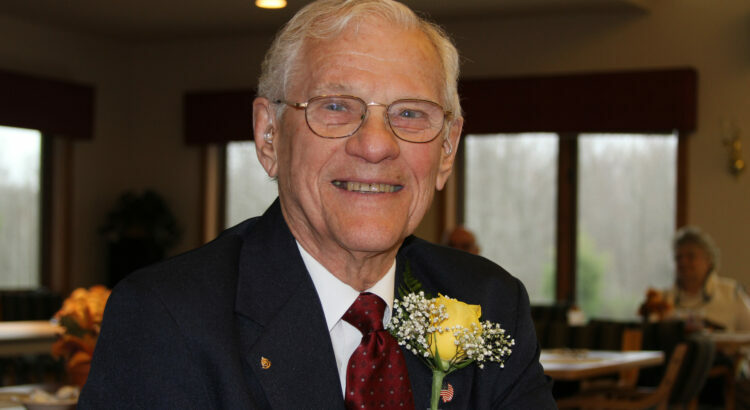 He was a very active member of St. John’s Lutheran Church in Gillett, where he served in many capacities throughout his years. Bob and Mae and the family loved to go camping and also go to his hunting cabin with his boys and extended family. Bob cherished the times going out west hunting and up to Canada fishing with loved ones. Robert was a Master Mason of Mason-Woods Lodge No. 368 of Cecil, Wisconsin. He was raised to the sublime degree of Master Mason in May 1961 and was an active member for 58 years. He also was very involved in the Shriners of Wisconsin. Robert is survived by his three sons, Wayne (Laura) Hicks, Kurt (Keri) Hicks, and John (Denise) Hicks; 6 grandchildren, Amy (Steve) Everard, Abby (Clint) Gardebrecht, Kassie (Josh) Bainie, Benjamin (Thea) Hicks, Blair Hicks, Brady Hicks; 9 great-grandchildren: Austin and Ava, Daylen, Croix, and Nyah, Asher and Aiva, Talulah and Bianca. He was preceded in death by his wife Mae, his parents William and Muriel, his brother Ronnie, his sister Rosie. Memorial visitation will be at ST. JOHN’S LUTHERAN CHURCH (101 W. Main Street, Gillett) Friday, February 1, 2019 from 9:00 – 11:00 AM with funeral services held in the church at 11:00 am with Pastor Kent Wallace. Masonic Rights will be held at Church and burial with military rights will be at Wanderer’s Rest Cemetery after the service. It was my joy and privilege to care for Bob. My deepest condolences to his family and loved ones. So sorry to hear. My condolences to all. John, so sorry for the loss of your Dad. My prayers are with your family. So sorry for your loss to the Hicks family from the Monfort family! So sorry for your loss. I have find memories of the time I worked for them at the abstract company. I am sorry to hear if your loss! Your Father,Grandfather also had a smile when I would see him. ? © 2019 Copyright Legacy Funeral Chapels. All rights reserved.